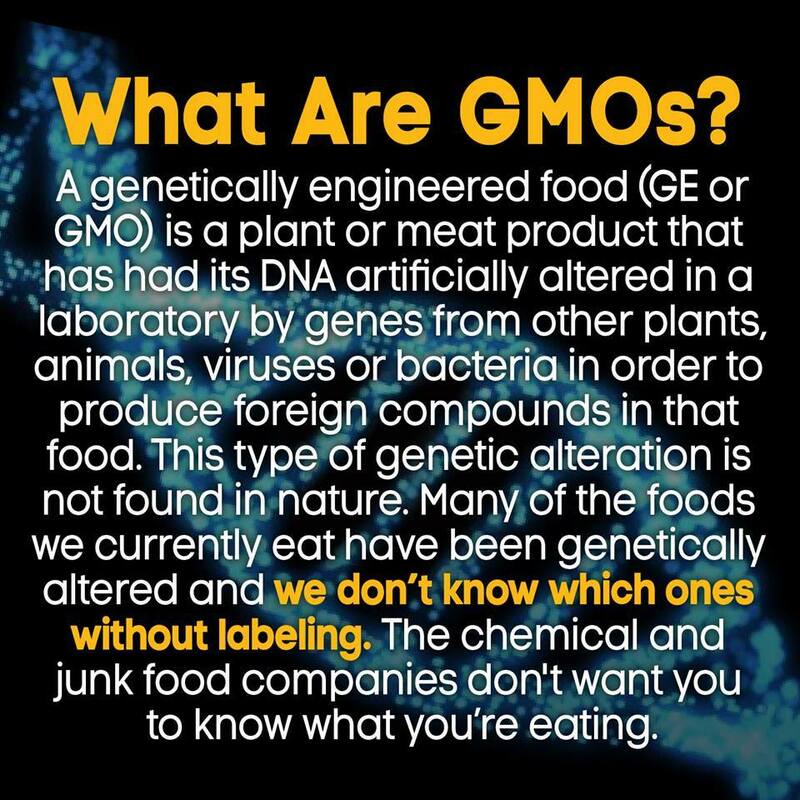 Genetically engineered foods are produced by means of genetic engineering laboratory techniques that insert genetic material (DNA) from diverse species of plants, animals, viruses, and/or bacteria, into the DNA of plants or animals that, in one form or another, end up on our dinner tables. The foreign genes are designed to produce new forms of toxins, proteins, hormones or other substances in the GE plant or animal organism. This type of genetic alteration is not found in nature. In 2009, 93% of the US soybean and canola crops were genetically engineered, as well as 86% of corn, 95% of sugar beets, 80% of papaya and 13% of zucchini. A new variety of GE sweet corn was introduced, grown, and marketed in the US in the summer of 2012. All of the above crops have been genetically engineered to produce their own form of insect toxin (or toxins) or to withstand high doses of a growing number of weed-killer pesticides. These GE crops are used to produce a great many of the grains, meals, oils, sweeteners and other food ingredients that are found an estimated 60-80% of the packaged, processed foods on supermarket shelves. Check out our resources page for more information.